Finance. Management. Consulting. Accounting. These are just some of the popular terms that come up in a student’s mind. To many students, especially high school students, obtaining a business degree may not sound like too much fun. But, for the lucky individuals who get to experience business for what it really is, their college destination is a no-brainer, a highly ranked undergraduate business program. If you are considering a degree in business, you are probably a driven, hard-working student who is also an excellent decision maker. This is the perfect candidate for a bachelors in business. Why Get A Business Degree? 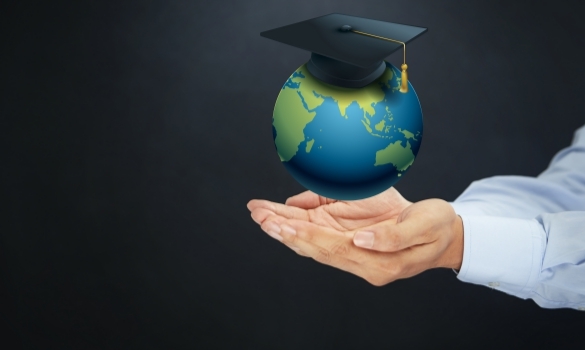 So, why should you get an undergraduate business degree? Of course, there are many reasons why obtaining a business degree is a wise idea – especially if you want to work at companies in Denver. However, the most important of these is the salary potential these degrees provide. If you graduate from an average school with a business degree, studies show you will earn an average of $54,000 in your first year post graduation. If you should happen to graduate from a prestigious business school, you are more likely to earn a starting salary of $60,000 or more. In today’s tough economy, this is crucial. But once you decide you want to get a degree, how do you prepare for life in a business college? So, what is the special experience of business that will help you to gain the experience you desire before you ever declare yourself a business major? Well, there are a few opportunities that some students get while they are in middle school or high school. Most times, it will change their lives, give them purpose and shape who they are as an individual. Sounds like pretty deep stuff, right? It is actually pretty simple, yet profound. Students who work summer jobs before heading on to pursue a bachelor’s degree get to learn the nuances of becoming an employee and make some nice money in the Donald Trump economy. They learn about showing up on time and having a boss tell you what to do. In addition, they get their first exposure to what work life can really be all about. This is critical. If the business is something that student can see themselves doing, especially if they are good at it, then it could truly be a life changing experience. Sometimes, it is very difficult to see the inner-workings of a business if you do not have access to it. For the fortunate few with family in business, they will receive special exposure to the nuts and bolts of the business before they ever have college degrees. They might travel to the docks where freight containers are unloaded like LEGO blocks. Or, they might travel abroad to buy merchandise or materials which come back to the United States for sale. Moreover, they may see how new business is won through sales, trade shows or conventions. Whatever the experience is, if the business is a good one, there is a good chance it made a lasting impression on the student, just like a female president would. It may even drive them to pursue a business management degree or similar. This is probably the most moving feeling for any future business man or woman. For anyone, the feeling of identifying a need, understanding a customer and getting paid to render a useful product or service is extremely satisfying. Some students will decide right then and there that this is for them. Others may take a few more sales, but it is something to remember. In case you have not sold something yourself, get out there and try it. It will definitely be worth every minute of your time. And who knows, you might find yourself a nice entrepreneurial startup! If you are considering becoming a business major, you are going to want to have some experience in sales. To guide students towards finance degrees, colleges must be willing to simplify the message. It helps to get to the root of business and stay away from all the jargon. Of course, it helps when students have experiences of their own to help guide them on their own path. But, we can help them figure it out too. The best we can do is help them discover the essence of business, making people happy and providing real solutions everyday. Hi there to all, how is everything, I think every one is getting more from this web page on business degrees, and your views are pleasant for new viewers.